① Ceiling hanging type unique design to save the display space and attract more people from a right angle. ② Landscape hanging,we can adjust our design according to your specific space and displaying needs. ③ Custom sizes available at the same time for a better service to you. ④Two sides 0.4mm non-glare PVC protective lenses. ⑤ The ultra-thin PVC protective lenses can support the both of two sides graphics,visual effect can be great improved. ⑥ Slide-in frame,changing the graphics by sliding the lens and posters out and back. By this way you can changing the graphics easily without open the frame of the poster holder. ⑦ The thickness of the Aluminum profile is 7.6mm,high quality aluminum material we choosing for a magic advertising visual effect. 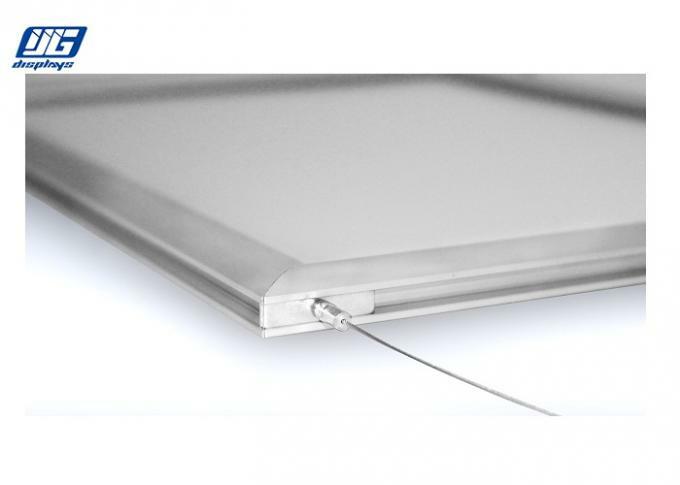 ⑧ Ultra-slim profile for a better view of graphics and to reduce the weight at the most extent. Customized is welcome to meet you specific needs. ① The Anodizing Silver Aluminum Landscape Dual Sides Ceiling Hanging Picture Holder can be packed with corrugated box or honeycomb box according to different shipping needs.If there is specific requiry about the packing such as wooden case,we also can design for the packing according to your requiry. ② EPE foam corner protectors,bubble wrap and cardboard sheeting can be used to provide products a well protection. We may adjust the thickness of the EPE foam corner protectors according to the demensions of the products. If you have any specific requiry about the packing,please let us know. We can deliver the products you ordered by the all kinds of express or air freight,if there is a substantial order,we may load a container and ship it to you. If you have any specific needs about the shipment of the products,please tell us. 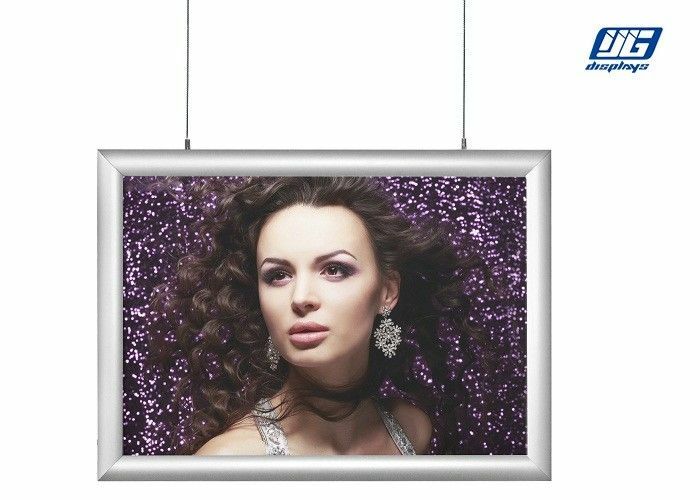 Over-10-year expericence are in accord with your assurance and recognition of our high quality Anodizing Silver Aluminum Landscape Dual Sides Ceiling Hanging Picture Holder.